Four new nonstop flights will be offered from Birmingham beginning this April. 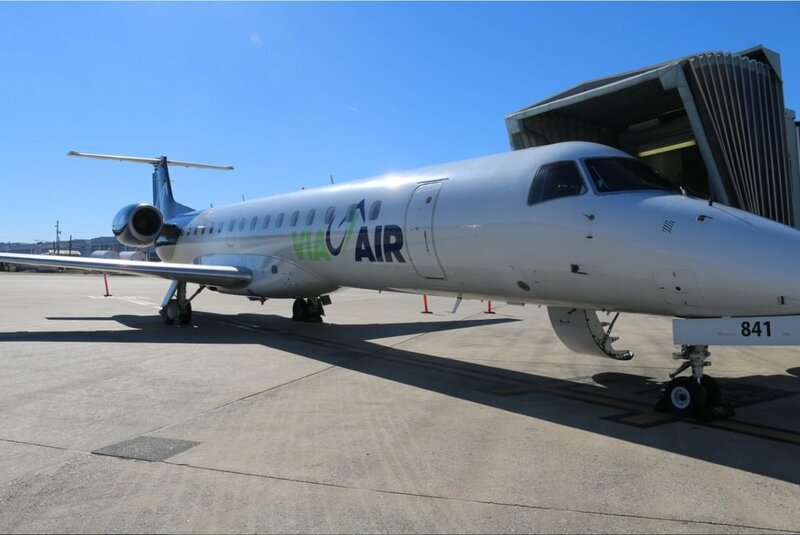 Via Airlines, a carrier based in Florida that flies 50-seat Embraer ERJ145s, will offer direct flight service from Birmingham to Mobile, Austin, Pittsburgh and Raleigh beginning in the spring. This announcement brings Birmingham-Shuttlesworth International Airport’s (BHM) number of nonstop destinations to 22 airports in 19 cities. Birmingham was selected as a focus city by the airline and will be a key part of its ongoing expansion efforts. The Birmingham Business Alliance (BBA) was a part of the team that brought Via Airlines to Birmingham, coordinating meetings with the airlines and local businesses and BBA leadership to gauge commitment and developing supporting research. Via Airlines joins American, Delta, Southwest, United and Frontier airlines in serving more than 2.8 million passengers each year at BHM. The new flights are currently available for booking here, and companies are able to join Via’s Corporate Incentive program, which offers exclusive savings on travel plans.